What is a Buy Button? A Buy Button, or Buy Now Button, is an easy-to-use and powerful tool for allowing your customers to buy from you on different websites and social media. Buy Buttons can also be added to emails, blog posts, and more. They're a great method for showcasing a product for sale and enabling customers to buy them with a click of the button, allowing you to monetize your blog, social media accounts, and other websites. You can choose which products to display with Buy Buttons and visitors who click on them will then be able to browse additional products as well. Some Buy Buttons will let the customer check out without leaving the website they're visiting, while others can send the customer to your website to continue shopping — with the product they clicked to buy already added to their basket. The type of Buy Button you use determines how they work and how freely you can post them. The two main types of Buy Buttons are social media Buy Buttons, which work specifically on social media, and HTML Buy Buttons, which can be added directly to emails, blogs, and other websites. Many social media platforms already have a type of Buy Button to allow customers to shop directly from your business's posts or profile pages. Facebook allows you to set up a whole catalog in the Shop tab of your Facebook Business Page. 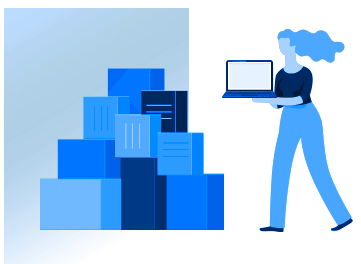 The easiest way to do this is to connect your business's Facebook page directly to your eCommerce website and use your shopping cart software to import and synchronize inventory to Facebook. Once your products are on your Facebook Shop tab, customers can browse and buy on your Facebook Business Page, and products can also be shared from your Shop tab. Pinterest jumped into the social media Buy Button game with Buyable Pins, which allow you to add a "Buy It" button right next to the "Pin It" button. Customers can then buy the product without leaving the Pinterest app. Twitter has also introduced their own Buy Buttons, which are automatically added to your tweets whenever you tweet a product. Social media buy buttons do have a few restrictions and potential drawbacks. For example, products from some industries can't be sold on social media, and you'll need to go through an approval process regardless of what you sell. You're also more limited in your selection of payment processors, and may not qualify at all if your business is based outside the United States (Twitter is currently subject to both restrictions). However, if your business and products qualify, social media Buy Buttons are a great advantage. 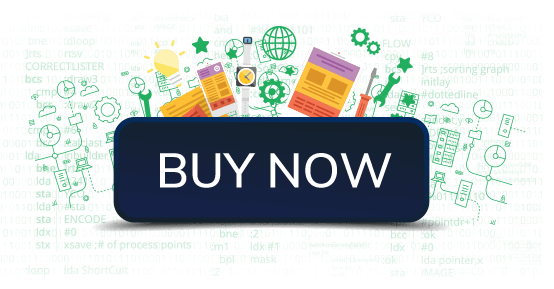 HTML Buy Buttons give you much more freedom because they're not tied to any specific social media platform. You can use HTML Buy Buttons in more places, and to sell products that may not be qualified to sell on social media — plus, there are no country restrictions. An HTML Buy Button works by using a small snippet of HTML code to pull information from your website. You can then add this code snippet wherever you can edit HTML (such as an email, blog post, or any website you have access to). Once added, the HTML code displays as a widget that includes a product and a Buy Button. The widget can also display pricing, whether the product is currently in stock, and more — even product options such as size or color. You can also choose whether customers get sent straight to checkout with the product in their cart, or to their "View Cart" page first. Unless you're a knowledgeable web developer, you'll have to rely on your eCommerce software to generate the code snippet for a Buy Button. Why use a Buy Button? Buy Buttons provide versatile options for selling your products across different channels without your customers needing to visit your online store to start shopping. Buy Buttons are convenient for customers and encourage them to buy the showcased product. If you've already captured the customer's interest by discussing a product in an email or blog post, including a Buy Button within the content is a powerful method for tempting them to go ahead with a purchase — before they forget or lose interest. If a customer has to navigate to your online store and search for the product on their own, they may not want to bother. Of course, you could simply include a link to your product instead, but Buy Buttons offer a significant advantage over a text link. They look more attractive and professional, making customers more likely to click. Plus, the customer can see more at-a-glance information than a simple link could ever provide, including an image, pricing, and up-to-date in/out of stock information. You can work Buy Buttons into your email marketing campaigns to let customers purchase right from your promotional emails. You can also improve your content marketing strategies by including Buy Buttons in your blog posts. For example, you could post a detailed how-to article and include a Buy Button within the content for each product your readers will need to accomplish the task the article is about. Buy Buttons also make it easier for customers to shop from mobile devices. Tapping a button is always easier than tapping a text link, copying a URL, or navigating through an online store to find a product on your own. It's extremely important to cut down on friction for your customers whenever you can, so the easier it is for them to buy from you, the more sales you'll make. Quickly embed any product – even those with options – to your site with an embed code generated by 3dcart. Choose which style best matches your site’s unique look for a cohesive, streamlined website design. Powerful View Cart and Checkout widgets provide customers with a fast, secure checkout experience. 3dcart has a powerful and customizable built-in Buy Button feature that lets you create customized Buy Buttons for any product. It works through 3dcart's AJAX API to pull product details from your 3dcart store, so your existing Buy Buttons will automatically update within minutes if you change the product's pricing or it goes out of stock. To create a Buy Button, log into your 3dcart Online Store Manager and visit your Product List. To the right of each product, you'll see its action wheel. Click this wheel and select "Create Buy Button" from the list that pops up. You'll then see a popup window that includes all your options for creating the Buy Button widget, along with a preview of how the widget will look. You'll be able to choose whether to display the product name, thumbnail image, and price. You can also define custom messages for when the product is in stock or out of stock. Lastly, you can choose whether the button sends the customer to view their cart or directly to checkout, and customize the button text itself. If your product has options, such as size or color (or both), they will automatically be added to the widget. This means the customer can make all their shopping choices for this item directly on the widget with just a couple of clicks. When you're satisfied with the Buy Now widget you see in the preview, click the button labeled "Generate Code Snippet" and the HTML code will appear. This is the code you'll copy and paste where you want to embed your widget, so click "Copy to Clipboard!" to copy the code. Alternately, if you decide to make another change to your widget, click "Close" and the options will reappear for further editing. Once you've completed your widget and copied the code, you're free to paste it in your email, blog, or other website. Just be aware that some website builders and blog platforms have both a visual (WYSIWYG) editor and an HTML editor. You'll usually need to switch to the HTML editor to paste in your code, as pasting code into a visual editor often just shows the code itself as text. The 3dcart front-end API provides a way for you to access product, category, and quantity information and more in much the same way the Buy Button does. By using 3dcart's front-end API you can build a fully-branded and customized online store on any website platform, create advertisements, and much more. Add eCommerce to any platform to monetize any website, including popular site builders and social media platforms like Squarespace, WordPress, Tumblr, and more. Or embed shopping cart functionality into your own custom development, whether you're creating a website for yourself or for a client. The 3dcart front-end API provides the resources web developers need. How do Buy Buttons work? 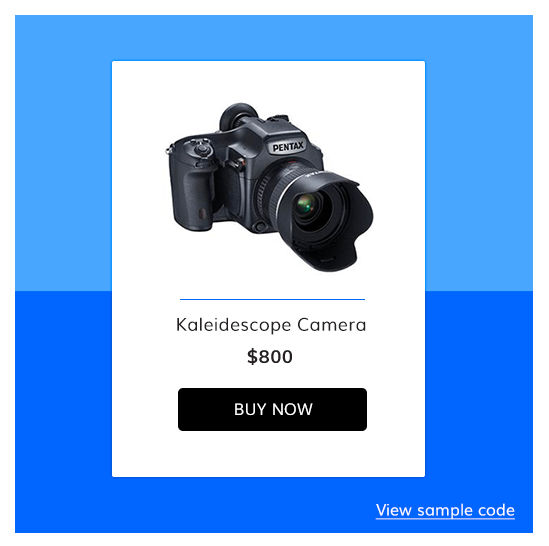 Buy Buttons pull information from your online store to create a widget that shows the product information, accompanied by a button the customer can click to immediately add the item to their cart, whether or not they've visited your website before. Once the customer has clicked the button, they'll be brought to checkout or to view the item in their cart according to the options you've set up. From there, they can shop further or complete the transaction. Is it better for Buy Buttons to go to "View Cart" or straight to checkout? This depends on your customers' expectations and your marketing strategy. For example, some customers prefer a chance to do more shopping on your site before they check out, while others may have second thoughts if they're even slightly delayed by being brought to view their cart first. Another factor is the context surrounding the Buy Button in the location where the customer clicked it; if your entire promotional email was about this single product, then it makes sense to send the customer directly to checkout on that product. In any case, always A/B test your Buy Buttons and use the variant that proves to be more effective. Where can I add my Buy Buttons? What are the advantages of Buy Buttons? Buy Buttons give you extra opportunities to add shopping cart functionality directly to your emails, blogs, website pages, and more. This means you can show off products in context, such as inside a blog post that discusses those products, or within an email announcing that product's release. Customers also like to use Buy Buttons because they make it more convenient to shop, as they can buy the product that's captured their interest without needing to go look for it in your online store.